The trouble with divining the future by dowsing is that you must be very specific about the question. The “Yes” answer to the question “Will Armadillo win Lunar Lander Challenge Level 1 tomorrow?” turned out to be slightly misleading because the question did not specifically ask about the prize money. But the answer wasn’t wrong because Armadillo did win. Pixel flew three beautiful one-way flights, did not crash and barely burned. 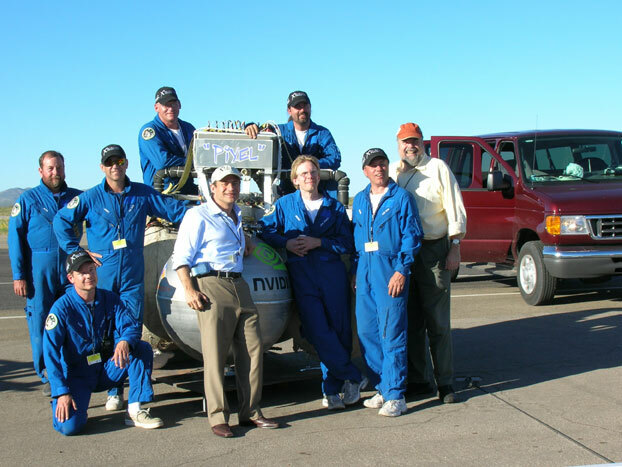 Other eXciting teams demonstrated their rocket technology prowess and nothing blew up. X Prize Cup is getting better every year. An interesting special attraction of the International Symposium on Personal Spaceflight was the Dowsing Workshop. According to divination conducted with copper L-Rods purchased from the Farm and Ranch Museum gift shop, Armadillo will win Level 1 of Lunar Lander Challenge tomorrow, but will not win Level 2. (On the advice of a certain person who works at a somewhat secretive spaceship company in the low-cost spaceship capital of the world, I have decided to stop doing shoddy journalism and pesky critiques of fledging space prizes and go try to win one myself. Contrary to the predictions of several normally reliable space race journalists, Lunar Lander Challenge will not be updated during the event. That’s because I am not really a serious journalist, just a part-time public service blogger whose mission is mostly accomplished now, except for rounding up the news clippings and collecting them here for future scholars of Lunar Lander Challenge. Don’t miss a moment of the 2006 Earth’s Great Space Exposition! Watch the thrilling events as teams compete in the Northrup Grumman Lunar Lander Challenge, Elevator Games, and more! Enjoy all the action, expos and events. 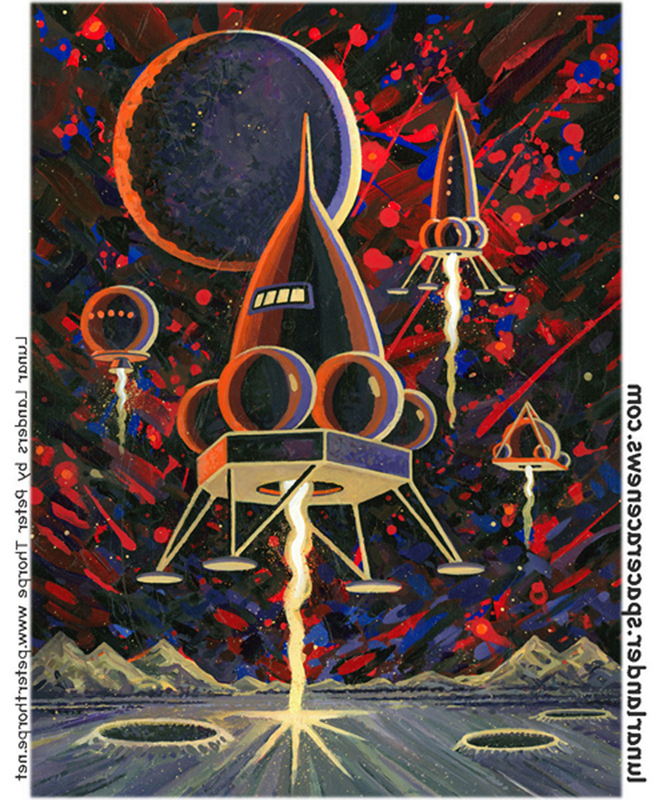 HobbySpace RLV & Space Transport News: All-day coverage begins here. And ends (?) here. PersonalSpaceflight.info: All-day coverage begins here. Transterrestrial Musings: All-day coverage begins here. alt X Prize Cup coverage? Possible amateur video coverage via YouTube channel spaceracenews, depending on availability of internet connection to personal spaceflight enthusiasts not affiliated with Space.com. Editor’s update: According to NASA sources, X Prize Cup has refused to allow NASA to webcast any of the event’s activities. As a result of this refusal, NASA has now decided to not air any X Prize activity on NASA TV. NASA Public Affairs is working to get me more information on this evolving situation. Stay tuned. You would think that these sort of issues would have been settled some time ago – not a day or so before the competition. This all goes back to the Space Act Agreement that was signed between NASA and the X Prize Foundation. Apparently all parties within and outside of NASA were not on the same page. As it stands, the X Prize Cup loses a substantial free distribution of video of the event – an event which could have been seen world wide – unless they can come to some agreement with NASA – or find satellite services – overnight. The way that the X Prize Cup folks wanted things to go was simply unfair i.e. to expect NASA pay for satellite distribution – and give them visibility – yet not be able to air the exact same content (which exists because of NASA prize sponsorship in the first place) on the web where far more people (taxpayers) are likely to see it. As such, I reluctantly agree with NASA’s decision not to air the X Prize Cup events on NASA TV – unless X Prize changes their mind and allows NASA to present everything online. X Prize can’t have it both ways. Alas, the next time NASA signs one of these agreements, someone needs to do a sanity check ahead of time – before they sign on the dotted line.